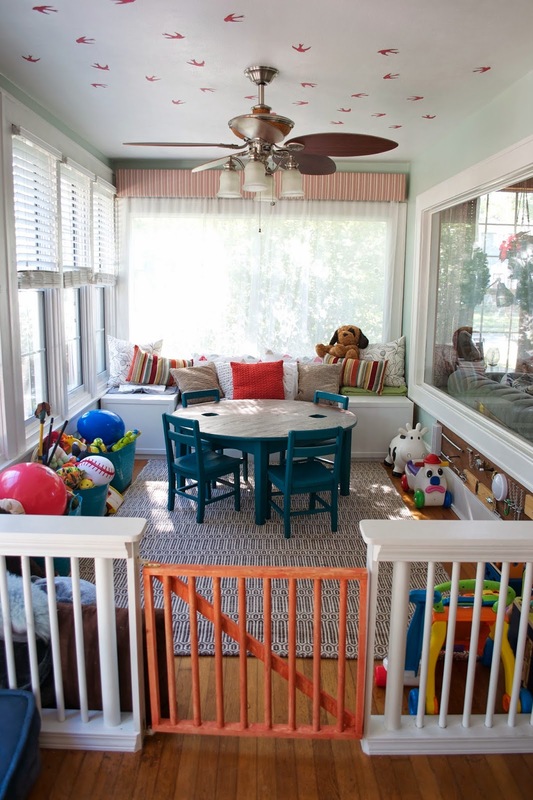 Who knew the color of a playroom gate would spark so much debate! 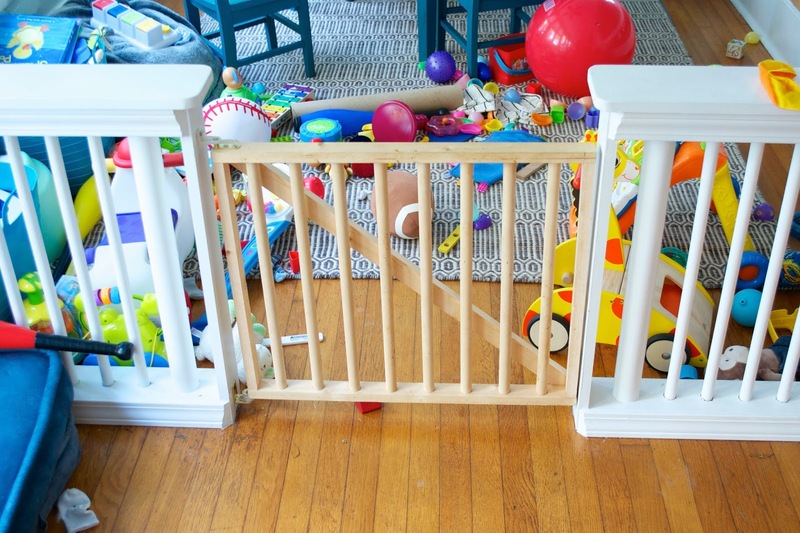 We asked you a month ago what we should do with our playroom gate and BOY did you all give us some great ideas. 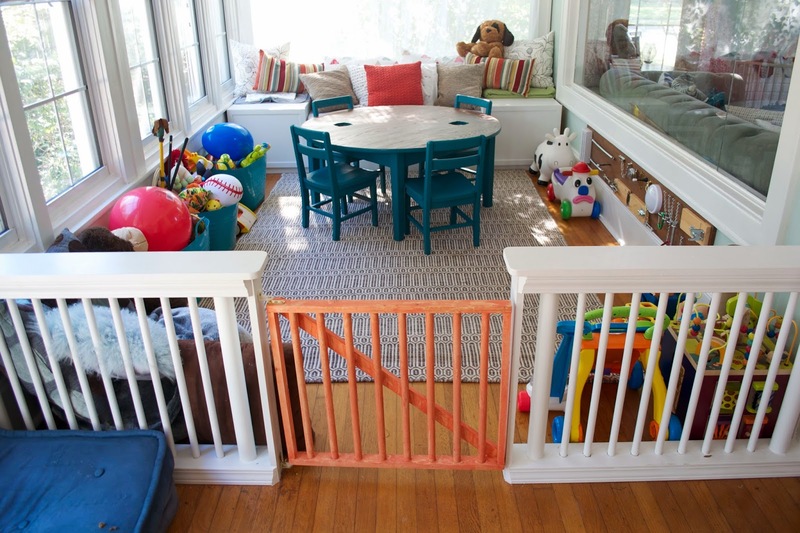 To remind you, we had a structurally finished gate into the playroom (more on how we built the gates later) but we didn't really know how we wanted to finish it. 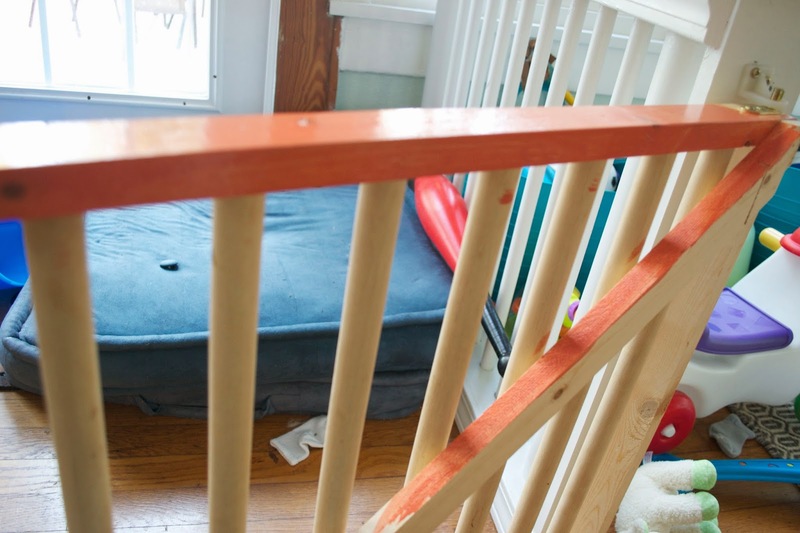 The main concerns with white paint was the dirty toddler fingers constantly touching the gate. I liked the idea of stain since we could keep a little bit of the wood grain showing and minimize fingerprints but after an overwhelming vote for a pop of color, I decided to give it a try. 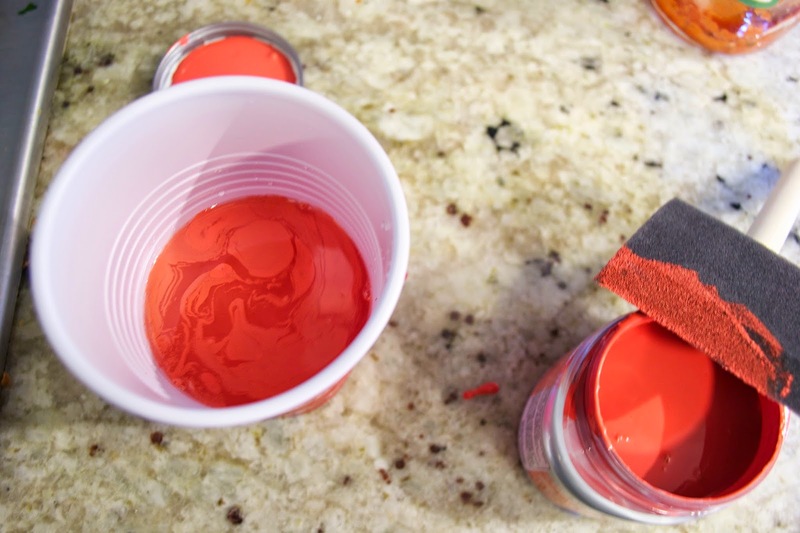 I picked up a test jar of reddish orange paint (Valspar Woodlawn Salsa) and to try and keep the wood grain showing, I mixed a small amount of paint with some water. I used a foam brush to wipe on the painty water (this is fairly messy if you try it). 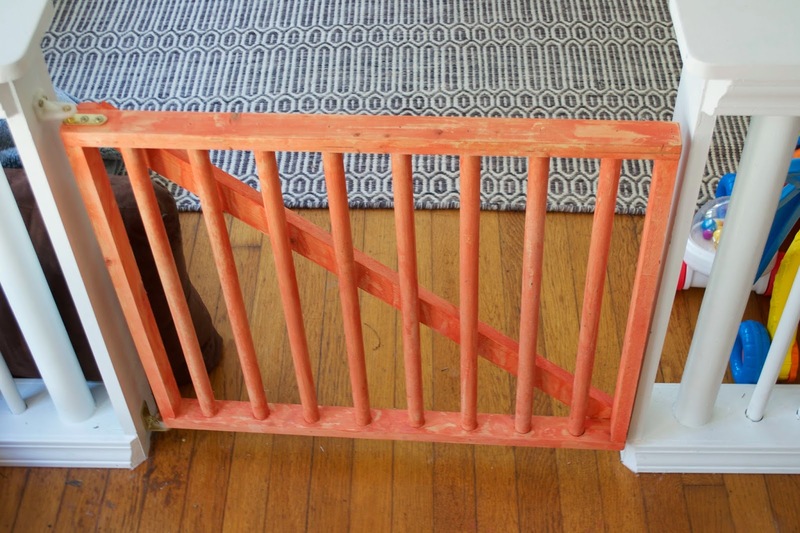 Once I covered the whole gate, I used some paper towels to wipe down the gate removing any extra liquid. The result kind of a broken in look to it. I think I like it. I'm letting myself sit on it for a bit before I give it the true thumbs up or down. I like that the grain shows through and if when it gets all banged up from toys being pushed through, I won't care since it already looks a little beat up. I'm still not 100% sold on the color though.